1. 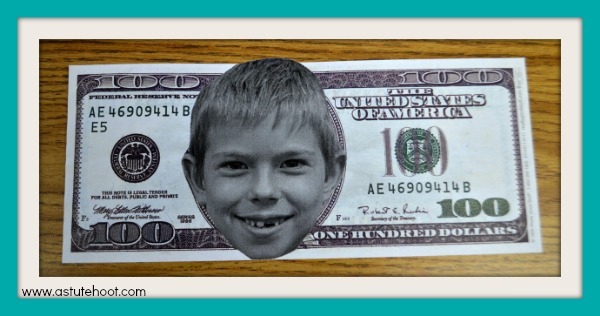 If I Had $100 Writing Activity: I purchased this $100 bill pad from Really Good Stuff and printed pictures of students’ faces in black and white. 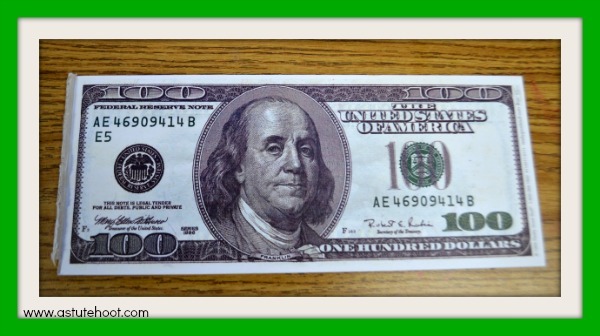 I trimmed the pictures and glued each one onto a $100. 2. 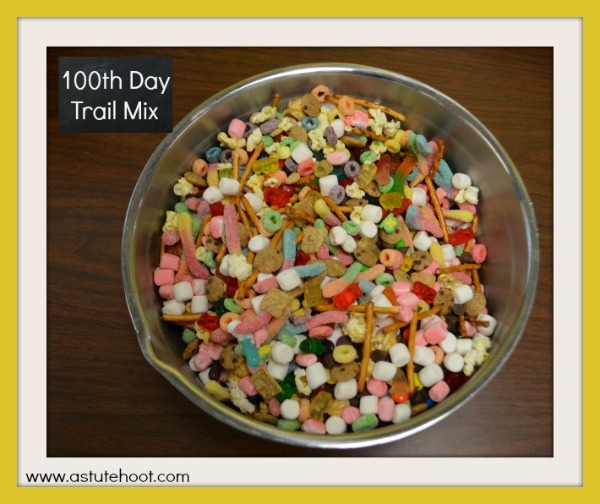 Make a 100th Day Trail Mix: I sent home this parent letter along with a Ziploc snack bag and had students bring in 100 pieces of a snack. 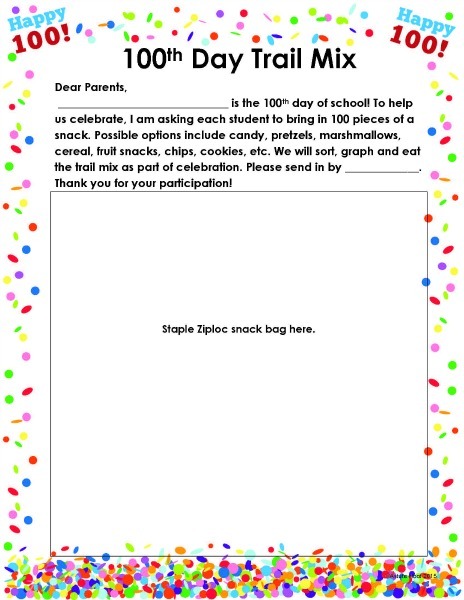 On the 100th Day, each student came up to the front of the room and showed his/her snack bag. The class decided the category (i.e., cereal, candy, etc. 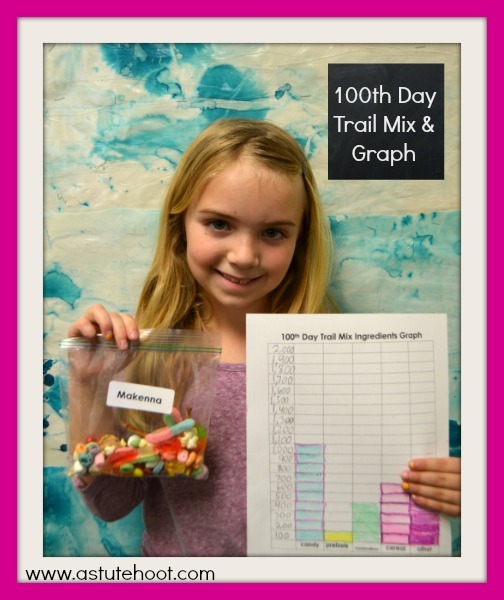 ), the student poured the bag into the bowl and we colored the graph together. 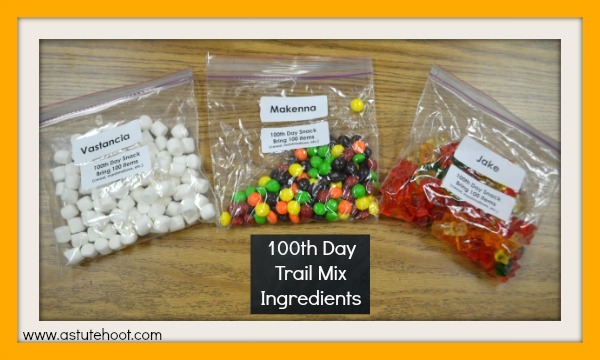 While the students were at recess, I scooped a cupful of 100th Day Trail Mix into their original Ziploc snack bags to take home along with our other 100th Day projects. 3. 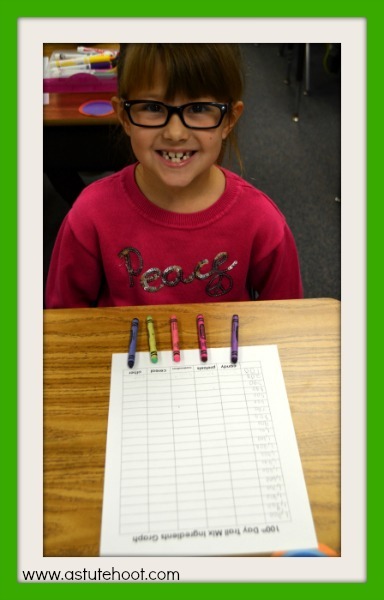 100th Day Centers: I also incorporated 100th Day activities into our normal center rotations. 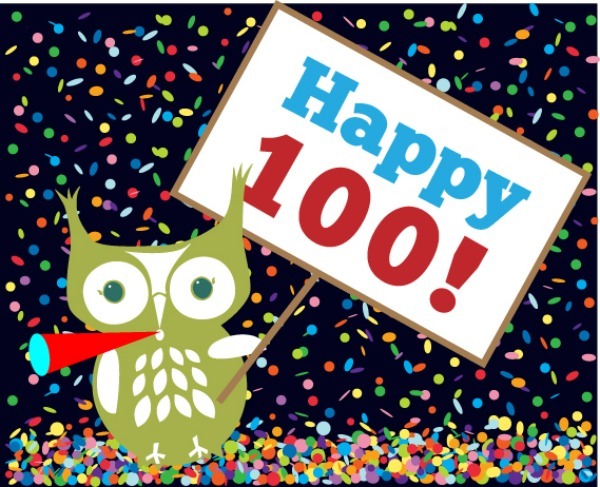 During our writing center, students wrote 100 words on special celebratory paper. 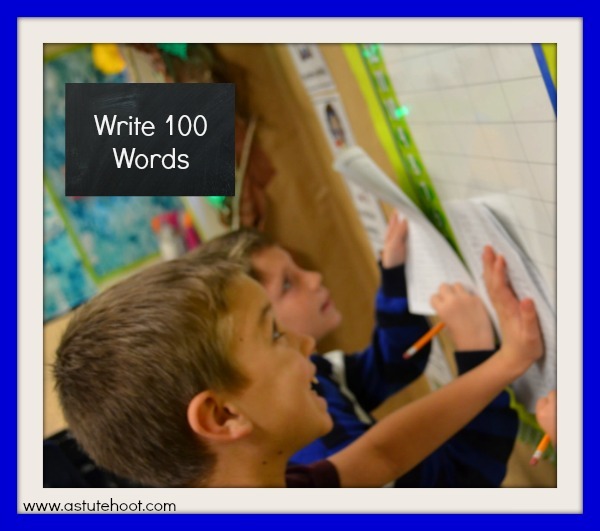 I allowed them to use clipboards and write their favorite words in the room which they loved! 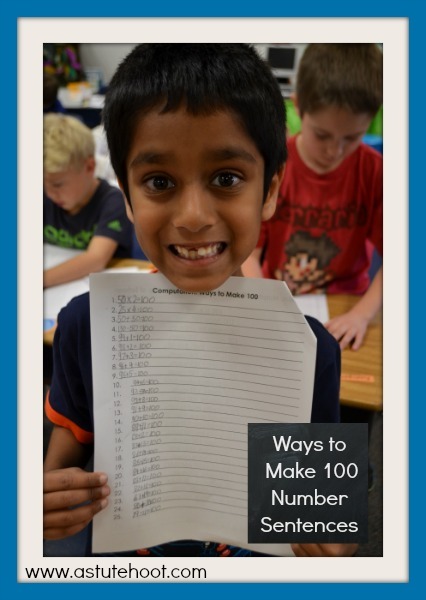 During our computation center, students had to write a variety of number sentences that equaled 100. Afterwards, they shared and compared with partners. I was so impressed with some of their diverse thinking! 4. 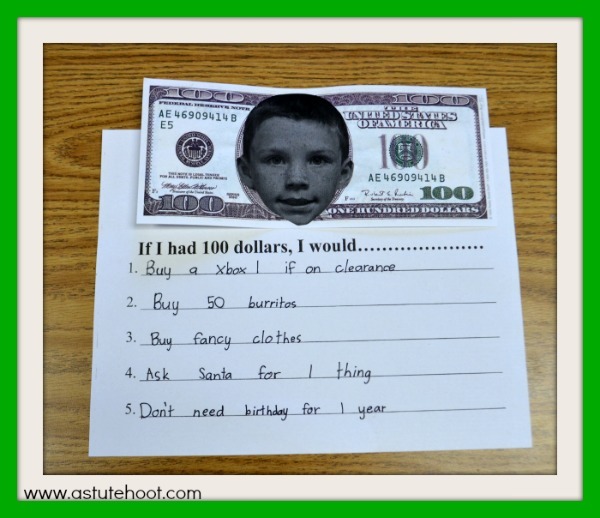 100th Day cards: At the end of the day, I passed out these adorable cards to students (with a special note to each on the back). These could also be used as an exit ticket, recounting or summarizing the special activities of the day. 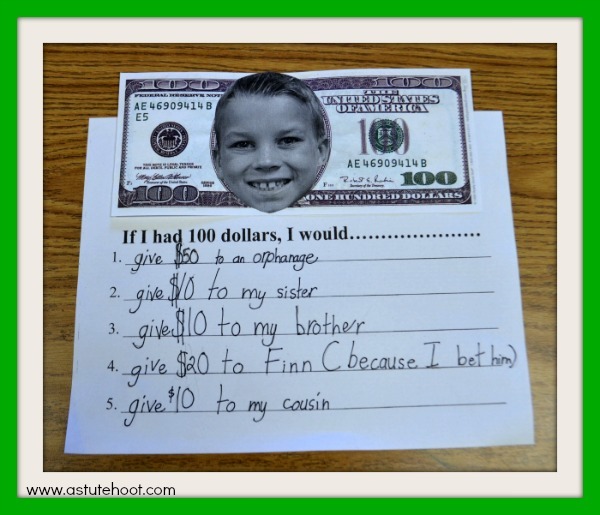 Love these engaging, no-prep ideas? 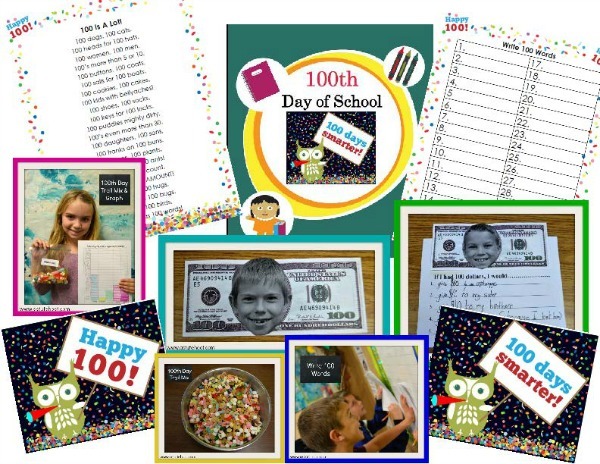 Download our Happy 100th Day of School file for all of these activities and more! Do you have a creative 100th Day activity? Please share below!